Asphalt paving services is where is all began for Gossom & Costello Paving. Over the past 25 years we have become experts in our field at delivering the best quality work for the Northern Virginia region. Whether you need us to remove and replace your asphalt driveway, add a new basketball court, fill potholes or prepare a new parking lot for your business – we have you covered. 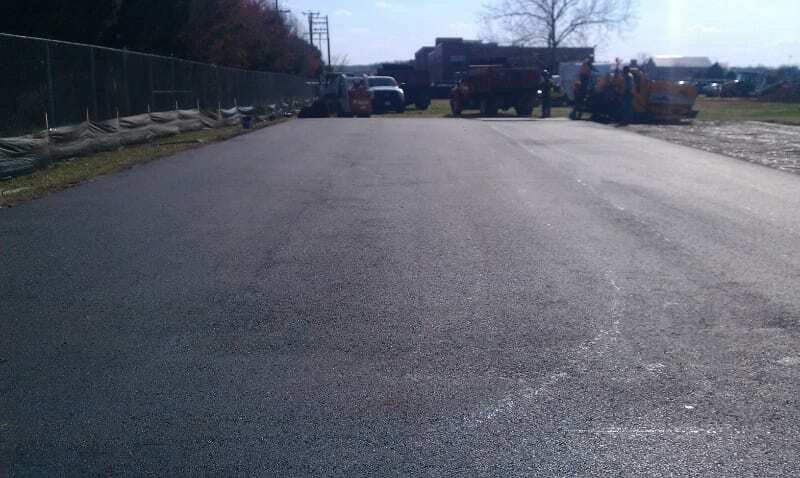 Below are some of the core asphalt paving services that we offer. If 60% or more of your driveway is cracked or when there are drainage problems, then it is more cost effective to remove it entirely and replace it, as opposed to patching areas or resurfacing it. A 2 ½ inch thick layer of asphalt (compacted to 2 inches) is used on residential driveways. Resurfacing/Overlay is when a 2 inch thick layer of asphalt (compacted to 1 ½ inches) is placed on top of the existing asphalt. This does not fix cracks or drainage problems on the existing surface. While this is a less expensive option, your driveway remains prone to reflective cracking (breaks or cracks in the underlying surface) and drainage issues. Seal coating is a surface treatment applied to a driveway. In addition to maintaining the deep, black color of an asphalt driveway, a seal coating protects it from moisture, chemicals and oxidation. We recommend that a seal coating be applied 6-9 months following driveway installation, then every 2-3 years thereafter. We use a water based sealer called Polymer Modified MasterSeal (PMM) (http://www.sealmaster.net/PMM.shtml). Whether your driveway displays cracks in a thin web-like pattern (alligator cracks) or larger, wider ones, it is necessary to fill them as soon as possible. Crack filling prevents moisture from destroying the stone base below the surface. We use “hot pour” crack filler. When cracks are neglected, the eventual result is vehicle damaging potholes. Potholes are the result of neglected cracks and extreme changes in temperature, combined with the weight of vehicles. When rain or snow seep into the underlying stone base below the surface, during cold winter nights, this water freezes and expands. Some of the stone base shifts as a result, forming a hole(s). Vehicles continue to drive over the unseen holes, putting even more stress on the thin layer of remaining asphalt that covers them. We repair these by saw cutting the damaged area, compacting the stone, filling the area with hot asphalt, then rolling it. This is referred to as “patching”. 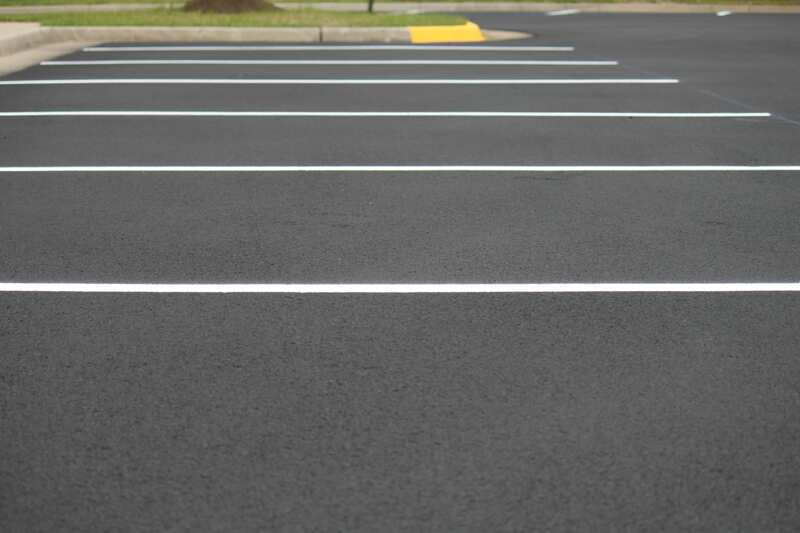 We can make repairs to, seal coat, resurface and completely replace most commercial parking lots. This includes re-striping the lot and reinserting wheel stops if needed, or replacing damaged ones. We can make repairs to, seal coat, resurface and completely replace pipe stems. These are private roads on which one or more homes share a private drive, off of which their own driveways connect. Maintenance of this road is jointly shared by those served by the pipe stem. We can make repairs to, seal coat, resurface and completely replace asphalt paths/trails. Installed for pedestrian safety, we install speed humps on both commercial parking lots, as well as on public, residential roads. We can install the asphalt base for tennis and basketball courts. 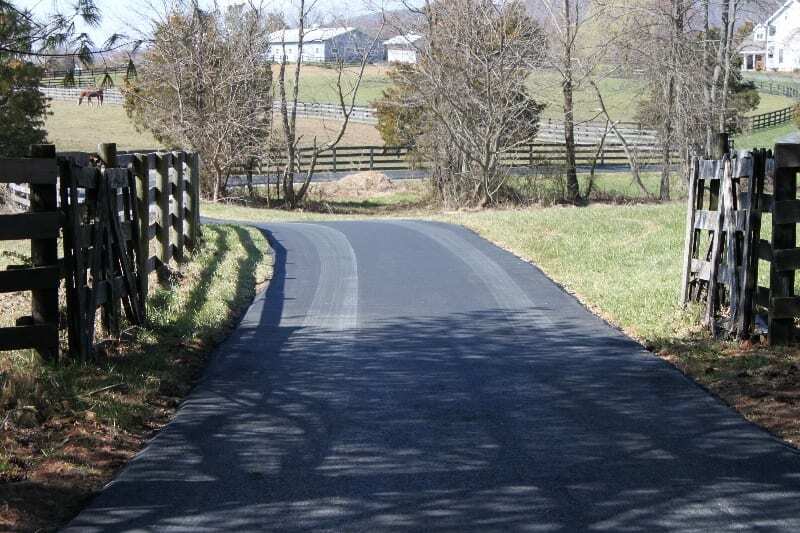 Living in the Northern Virginia region, there are barn and stables aplenty and we’re here to help you with any paving need for aisleways, or any other requirement you may have. Stop by our Photo Gallery and see some of our recent work.